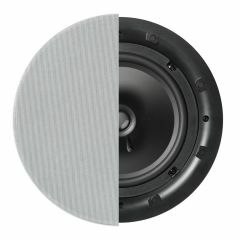 It's a common misunderstanding that in-ceiling and in-wall speakers are a compromise for the sake of appearance and thus provide a compromised performance. This need not be the case and certainly is not for Q Install. 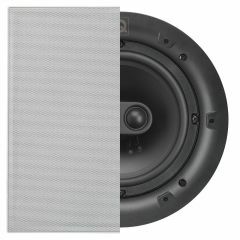 The great benefit for the acoustic designer is knowing precisely where in relation to the nearest boundary (ceiling or wall) that the speaker is going to be installed and also not having to worry about resonances and diffraction effects from panels and edges of a speaker enclosure, as there isn't one. 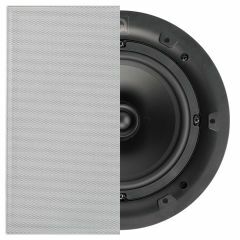 It is perfectly possible for an in-wall speaker to perform as well or even better than a cabinet equivalent. Having high quality sound throughout the home and even outdoors is a luxury to be appreciated. 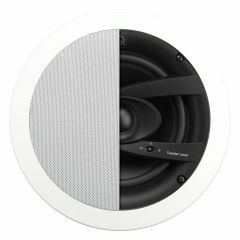 'Q Install' In-ceiling Speakers are a comprehensive range of ceiling speakers, featuring the very latest styling and technology and designed to meet the most demanding requirements of installers and their clients. 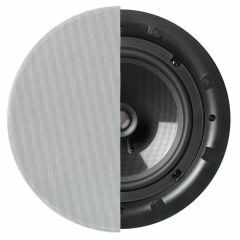 All the in-ceiling speaker models boast a 6.5" (165mm) polypropylene speaker cone. In the superior 'Performance' variants this is an injection-moulded, mass damped, Nano Particle based driver cone, for lower distortion and colouration. Q Install has used cutting edge industrial and acoustic engineering to create our best ceiling speakers with a striking bezel and grille speaker design that clips magnetically into place. Circular and square grille options are available to ensure the perfect match for each customer's decor. Shallow depth requirement - all models are less than 84 mm deep. 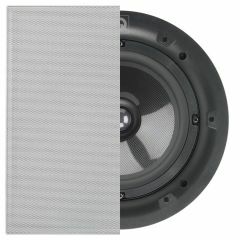 Q Install ceiling speakers utilize 'UL94' flame retardant materials. Adjustable high frequency output level feature in the 'Performance' and 'Weatherproof' models. 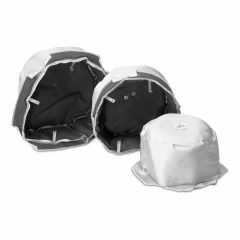 Tweeters are fully 'open' on most models avoiding the use of protective bridges through the integration of Automatic Tweeter dome Recovery technology (ATR) that restores the dome after accidental deformation. 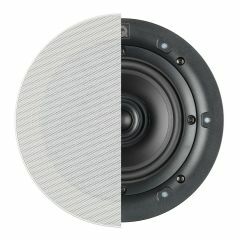 'Performance' ceiling speaker models feature a larger magnet assembly giving a 30% increase in program power handling capability. In addition precision components are utilized in the audio crossover filters, together with gold plated connectors. Grille geometry has been carefully optimized to ensure the perfect balance between sound and discreet appearance so that the speakers remain hidden away. Square and circular magnetic grilles are fully interchangeable without any need to change or remove the loudspeaker. All Q Acoustic speaker models are moisture proof, with the bathroom ceiling speakers being suitable for more extreme use. Stainless steel fixings and corrosion resistant aluminium grilles are utilised together with fully sealed drive units to ensure no water ingress. 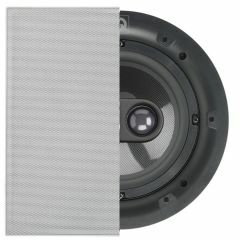 Q Install speakers come carefully packaged with installation template and fitting instructions. All models feature protective driver dust covers and cloth backed grilles to facilitate painting should it be required.